If you would like to share a comment, suggestion or just discuss “what they are taking” - please contact me directly at: barry.dombro@strikeindicator.com. Or submit your question in the form below. Interested Fly Shops and Dealers - please e-mail me directly and I’ll be right in touch. barry.dombro@strikeindicator.com. 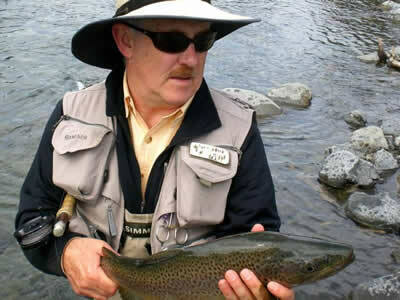 We are lifelong - passionate fly fishermen. We founded StrikeIndicator.com to share an innovative solution for those advanced “fine fishermen” interested in flexibility, control and the ultimate presentation when fishing with Strike Indicators. We are extremely pleased with the wonderful feedback and encouragement we have received from Fishermen, Guides and Shop Owners around the world. Please send us your feedback and share your photos and stories about your fishing adventures. I appreciate your interest in our products very much!